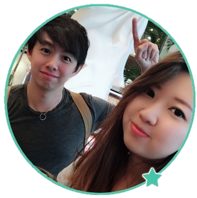 Creating Income System promises to create a free make money website for you in exchange for a positive review. Can they be trusted? More importantly, is Creating Income System a scam? Let’s find out in our Creating Income System review. The homepage of Creating Income System is a generic sales page used in many online scams. You can take a look at the homepage for one of the scams we’ve reviewed before, Online Wealth Market scam and you’ll notice the similarities. Anyway, there are a few red flags you should take note of within the homepage of Creating Income System scam, and the subsequent sales pages that follow. Firstly, Creating Income System uses the scarcity tactic to make you think that you’ve come across the opportunity of a lifetime. In the homepage, you are told that the number of spots is very limited and you have to fill in your details to reserve a spot. It’s a common tactic used in online scams, and a simple WHOIS check shows that creatingincomesystem.com has been around since 2014. If there are really limited slots, don’t you think they’ve long been filled up by now? The form at the homepage is just there to create a sense of exclusivity, and to capture your email address so they can send you even more shady make money programs. As soon as you fill up your details, you will be redirected to sitehostingsource.com. However, instead of introducing themselves as Site Hosting Source, they identify as Digital Ink Media Group. In the sales video, Digital Ink Media Group claims that they will build you a free website hosted on Site Hosting Source for absolutely free, in exchange for a positive testimonial for them. In fact, they will do ALL the work for you and make you a custom, ready-made money making website. This would’ve costed you $1,895 without this promotion. Buying niche websites is not a new concept, and they usually sell for at least 10x of their monthly earnings online. But the thing is, with Creating Income System, you have no idea what kind of website you will be getting at all. With other niche website purchases, you can always view the website before you decide on your purchase. Apart from that, Site Hosting Source claims that they are a Better Business Bureau (BBB) accredited company, but there is no info of them at all on BBB website. I could hardly find any information about the hosting service of Site Hosting Source. Traffic data of sitehostingsource.com based on Alexa ranking indicates that Site Hosting Source doesn’t receive much web traffic at all. This means that Site Hosting Source is a hosting company that hardly has any users. All these are not good indications, because hosting your website with a questionable hosting company will bring you a lot of troubles as a website owner. 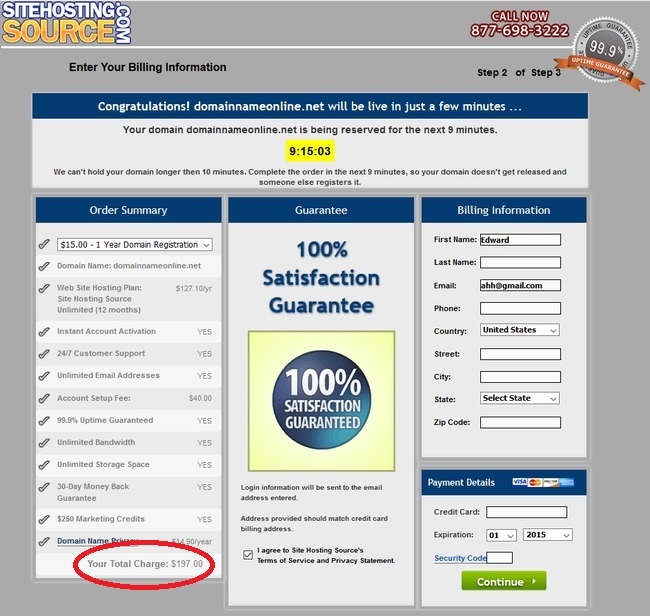 Not to say that Site Hosting Source charges even more than some of the most reputable hosting companies such as HostGater. 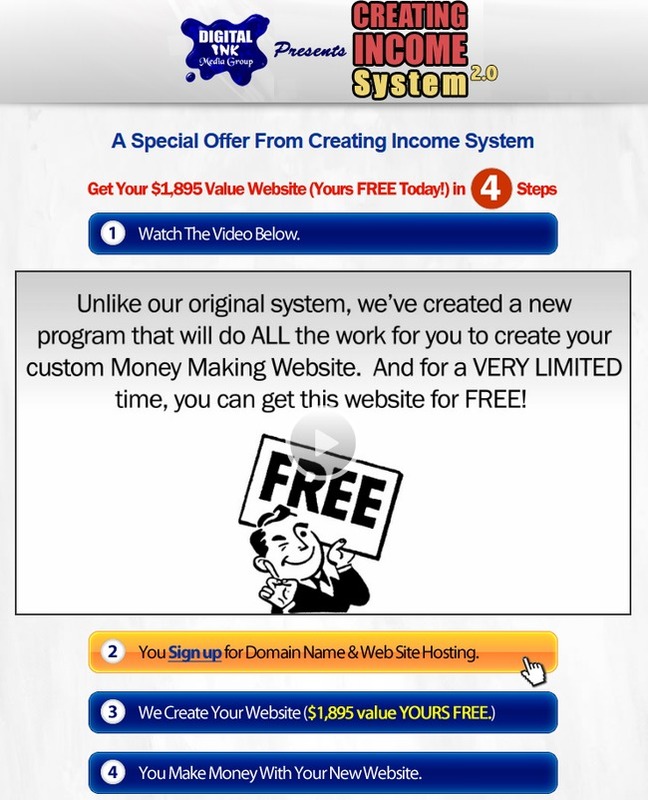 Even though Creating Income System claimed that the website will be yours for free, it’s not really free. Once you decide on an arbitrary domain name, you will be brought to the payment page for the website. The minimum price starts at $197, and it gets to a maximum of $212 depending on the number of years you choose for domain registration. Even at this point, I had absolutely no idea what my website was going to be about. In fact, as with many other hosting scams, I would’ve gotten a generic website with a few pages at most. There is no way anyone can make money with that kind of websites. Is Creating Income System a Scam? It’s pretty clear that Creating Income System is just out to get your money. The final verdict is YES, THIS IS A SCAM! Is Online Success Plan a Scam?